Giveaway is only open to Australian citizens. Closes – Midday 13/9/14 Queensland time. 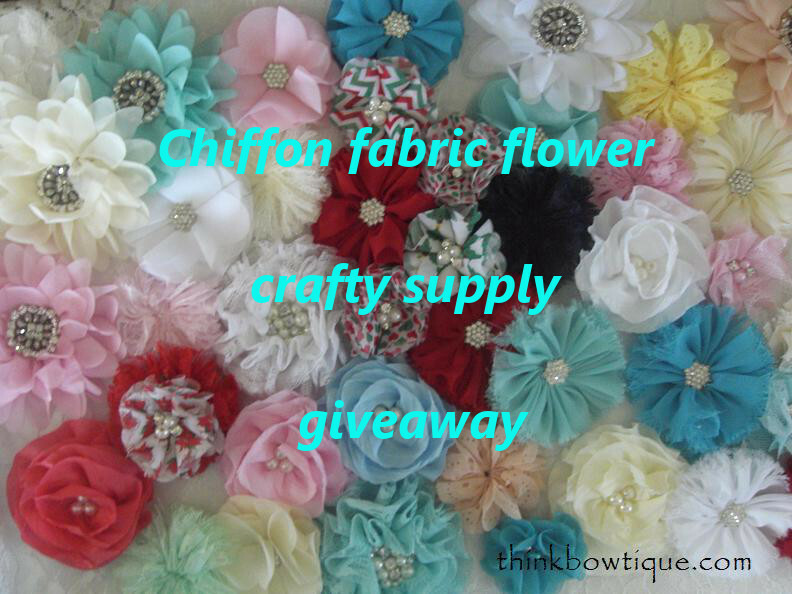 Prize contains all the chiffon fabric flowers shown in the photo and includes postage within Australia. There will only be one winner. The winner will be randomly picked. The winner will be announced here on this page by the 14/9/14 and will have 48hrs to claim their prize. Email melissa@thinkbowtique.com to claim your prize. By entering this giveaway you are agreeing to our terms and conditions. over to our Pinterest page and re-pin the photo of the giveaway. For a second chance or if you don’t have a Pinterest account you can share the photo on any social media you use. Place the photo of the giveaway on your social media page and link the photo back to our blog and then in the comments below type a link to where we can find your shared post. The post must be public so we can see it. You can share the giveaway as many times as you like. Leave a link to each post in the comments below for us to find it. 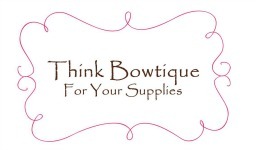 Think Bowtique for your Grosgrain ribbon and craft supplies in Australia. Browse our huge range of grosgrain ribbon, satin ribbon, fold over elastic, fabric flowers and so much more. Pinned & shared on my page. Pinned on my pinterest board make it!!! Just repinned your pin! Thank you for offering such a wonderful giveaway.